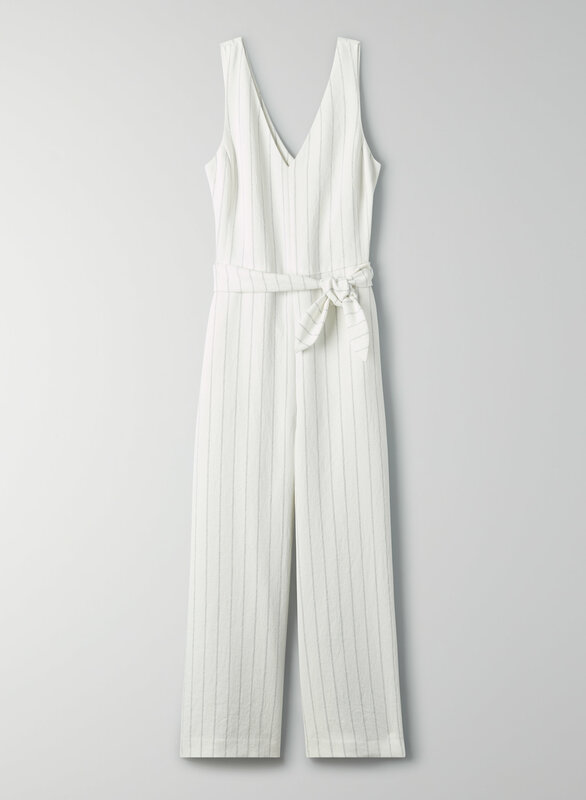 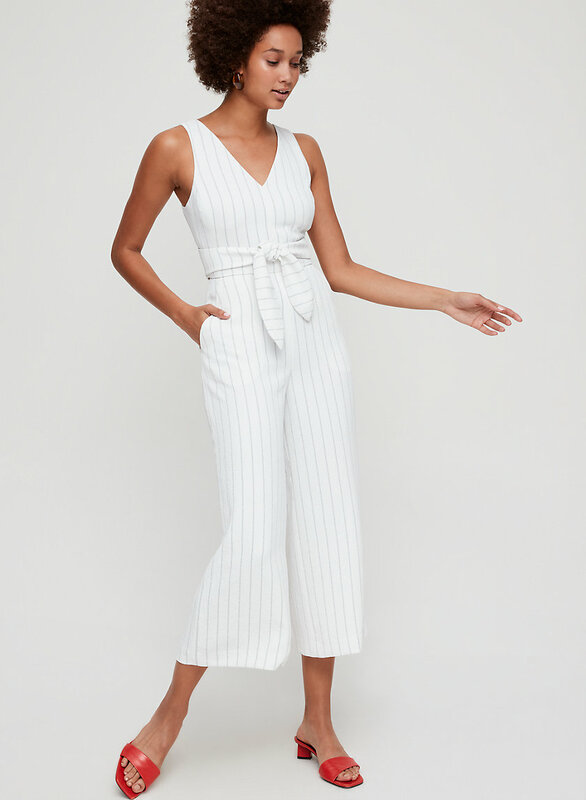 This is the V-neck version of the Écoulement Jumpsuit. 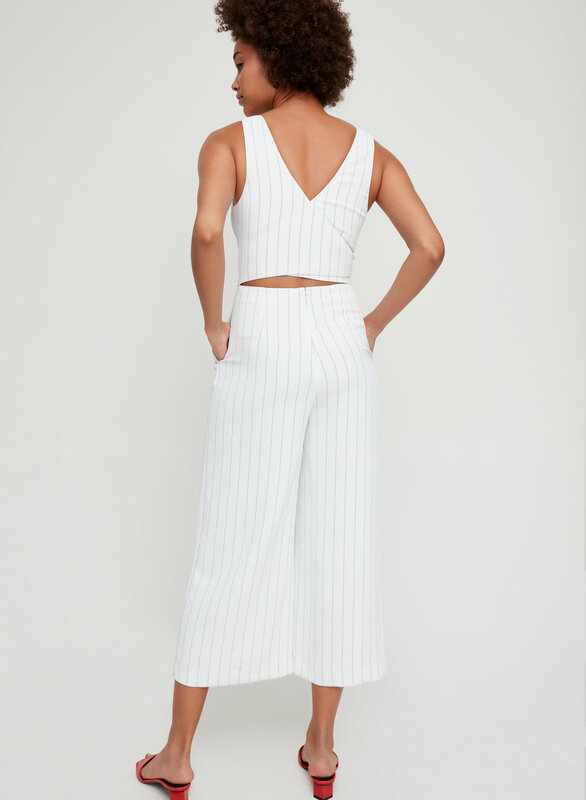 It has a subtle back cut out and a self-tie at the waist. 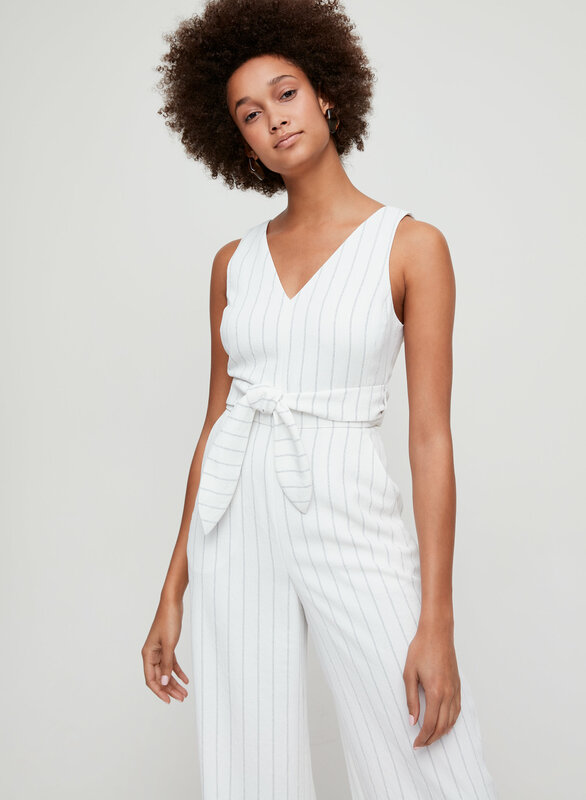 It's made with a yarn-dyed fabric from Japan and comes in a custom stripe print that's exclusive to the brand.